Peter J. Gaughan (b. 16 Jul 1872, Mayo, Ireland. d. 29 Jun 1935, Scranton, Pa., USA). Thank you for the opportunity to contribute to the Blacksod Bay Emigration Database. As an American, it is an invaluable service for me to find a connection to my ancestors, who left Ireland on the S.S. Nestorian on March, 30, 1883. I look forward to checking back regularly to the site to learn more about relatives and friends of my ancestors … and to maybe someday connect with living relatives of mine in Mayo. 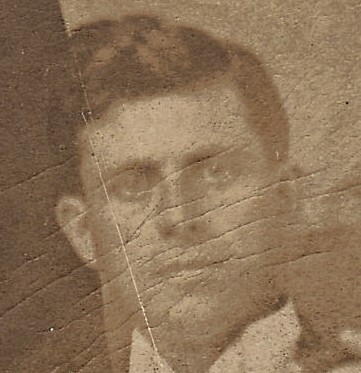 Peter J. Gaughan, my great grandfather, stood 6-foot-3 and by all family accounts was a handsome, charming man with an engaging personality. He took a lot of pride in being well-dressed, often wearing a top hat and tuxedo. It’s a practice he apparently handed down to his son, Austin P. Gaughan, who wore a white dress shirt with a collar every day of his adult life. Peter J. Gaughan loved politics and was involved in Scranton area election campaigns. He was the head of the board of education in Jessup, just outside Scranton, for a time. He was the Superintendent of Mines for the D&H Coal Co. in Jessup. Austin P. Gaughan, an only child, went on to have a long and successful career as a salesman and moved his family to Buffalo, N.Y., where numerous Gaughans still live. Unfortunately, family anecdotes and oral history of life in County Mayo is almost non-existent. Peter J. Gaughan and his father, Peter Gaughan, left in 1883 for America to start a new life, and there was not a lot of reminiscing with their children and grandchildren about the old country, no doubt because the conditions in Ireland that caused them to leave were so difficult. More information on the main site Peter (J.) Gaughan age 9, with parents Peter, Mary (Munnelly) Gaughan and siblings Michael and James. SS Nestorian 30th March 1883, Shraigh, County Mayo to Pennsylvania. Is Shraigh, County Mayo a different village than Shraheens, Achill Island, County Mayo.? Achill is where my family came from. My cousin Don McNulty married an Agnes Gaughan in the early 1960’s and moved to Golden, Colorado where he worked for Coors Brewery. I went to school at St Colman in Cleveland with John Gaughan and Patrick Gaughan. I never made the connection to my cousins wife until later. I visited Don in Golden Colorado about fifteen years ago just after Agnes died. The McNultys first settled in in Wilkesbarre Scranton area when they came to the USA before they moved to Cleveland. I’m still here in Ohio but most of the McNultys are gone elsewhere. I am trying to do my family tree and any information that I can get is very helpful! Greetings Susan. Thanks for inquiring. Short answer: I don’t know of a connection, although my grandparents spoke of the Barretts living in the Scranton, Pa., area. Anthony and Margaret (Pendergast) Barrett and 6 children. Dominic and Barbara Barrett and 6 children. Ancestry trees show Anthony and Margaret had 14 children in all, one of whom was Anthony Barrett, born 1881. Might he have married a Nora Gaughan??? . . . One of their other kids (Julia) wound up marrying one of my other cousins. Margaret (Pendergast) Barrett had a daughter (Mary Barrett) who is my great grandmother. I would certainly appreciate a copy of Margaret’s photo. Thanks for your message. Unfortunately I don’t have one of Margaret but if I come across one I’ll let you know. Margaret and Anthony’s daughter, Julia, married my great grand-uncle, Patrick Munley. And I know my grandfather and great-grandfather were friends with the Barretts in the Scranton-Jessup area. My family tree on Ancestry.com is called the Gaughan-Anderson Tree.
. My family tree is called” John Carroll Family tree”. Hope we can stay in touch. Hello John, and I came across this thread while wondering about my grandmother’s family, Mary Carey (nee Geraghty, from Binghamstown), after my cousin had started looking into our grandfather’s side, Patrick “Patsy” Carey of Aughadoon, Belmullet. I believe that my maternal great-grandmother may also have been Mary Barrett and I have second cousins in Belmullet of that name. I was also told last time that I was in Belmullet that I had fourth cousins who are Gaughans, and I remember Agnes Gaughan from visits to Belmullet during the 60s to 80s. What prompted my reply was your name – an amazing coincidence. Hello Mark – My great-grandmother, Honora Reilly Heveran and her 5 children (one of which was my grandmother) also sailed on the SS Nestorian in 1883. They settled in the Youngstown, Ohio area. My grandmother, Ann, met and married James Fahey and they moved to Buffalo in the 1890s. I, too, live in Buffalo now! Perhaps our relatives knew each other! Nice to meet you! In the late 1868 my 2nd Great Grandparents, John Payton and Bridget Gaughan (b. 1851), immigrated to Scranton PA. They are both listed as having been born in County Mayo, but the meet as teenagers living nearby one another in Rochdale, England. Bridget’s father is named Peter (b. 1811) who married a Bridget (b. 1816). Peter also had three other daughter’s named Honor, Catherine, and Mary. Do have any ideas how this may fit into your family? I’m going to Ireland in Nov and am trying to piece together as much as I can. My great grandfather, Patrick McNulty was born in Shareens, Achill in 1865. A letter written by his son says he stowed away on a ship to America at age 14. He settled in Parsons on what is now Scranton, PA. There he met a married Mary Kelly who was from Rosturk, near Newport. They started their family there but moved to Cleveland by 1890. The census lists eight children and three boarders. My grandfather John was his oldest. Other included Phillip, Patrick who played for the Indians in the 1920’s, Martin and four girls. Phillips son married an Agnes Gaughan before moving to Golden, Colorado. In St Colman there were kids from a Gaughan family(John and Patrick) are the ones closest in age to me. The children of Don McNulty and Agness Gaughan include twin boys one of whom is a judge in Lakewood Colorado. I have only met them once or twice at weddings or funerals. My dad John T. died in 1958 and I never knew much about his side of the family until i did my own research. Not sure if this helps but when I visited Ireland everybody was willing to claimrelationship to me. McNulty, Kelly and Needham were the names listed on the census. My 3rd Great-Grandparents are Patrick Murphy and Julia/Judy Gaughan. They both lived in Belmullet, and would have been born around 1835-1840. It is quite possible Peter was Julia’s niece or a relation of some sort. I can tell you some more. The ancient Gaughan family goes back to around the 900s. They were largely located in Kilkenny. By the 1650s, Oliver Cromwell had massacred many of their number and the survivors were forced to retreat to Co. Mayo where they basically expanded for two centuries. I’ve little doubt they’re all connected to this common history, but finding the actual relationships could prove an immensely difficult task in the few records we have. Indeed, DNA testing would be your best bet there. Hope this is at least of some interest. I should add my own folks came from Shragh/Srah so that sounds very promising, in terms of a tangible connection. Hi Tony: Thanks very much for your post! I did not know of the specific Oliver Cromwell connection. I don’t know of a direct connection to Patrick/Julia but if I ever find one I will post it. . . . Did your ggg-grandparents emigrate to the USA? I see a Patrick-Julia in both Maine & Connecticut in 1880 as well as another Patrick-Julia family in England in 1881. My email is above if you ever want it. Best regards, Mark.